But what are these new features, how will they add value to your business, and what does the ‘c’ stand for? 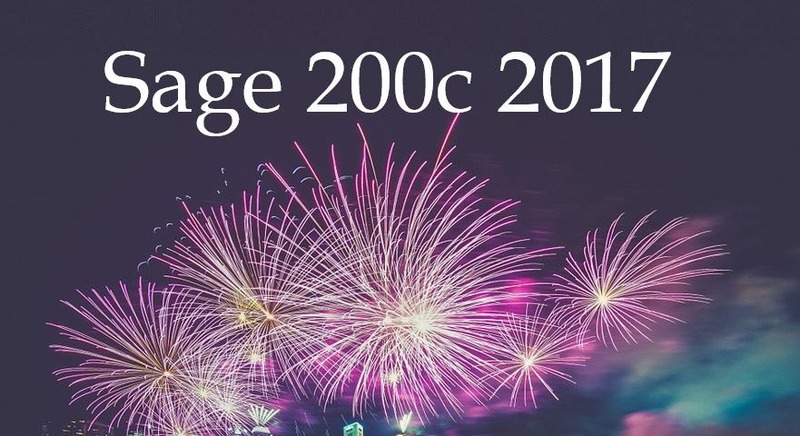 The ‘c’ stands for Connected because Sage 200 is now integrated with many more crucial systems such as Office 365 – powerful integration and connectivity is the future for Sage 200. So let’s take a look at some of the great new features released in this latest version of Sage 200 – Sage 200c 2017. Sage have been listening very carefully to the feedback from their long standing Business Partners such as AlphaLogix and also from the feedback that we put forward from Sage 200 users. Let’s take a look at some of these features that were developed and released by popular demand. Streamlined Upgrade – Once Sage 200 has been upgraded to Sage 200c on the server, each of the Client PC’s will automatically update themselves which will save lots of time during installations and upgrades. Error Corrections – One of the most popular requests for change with Sage 200 has been the ability to easily make corrections to transactions after they have been posted. This can now be done from the Transaction History screen in Sage 200c. 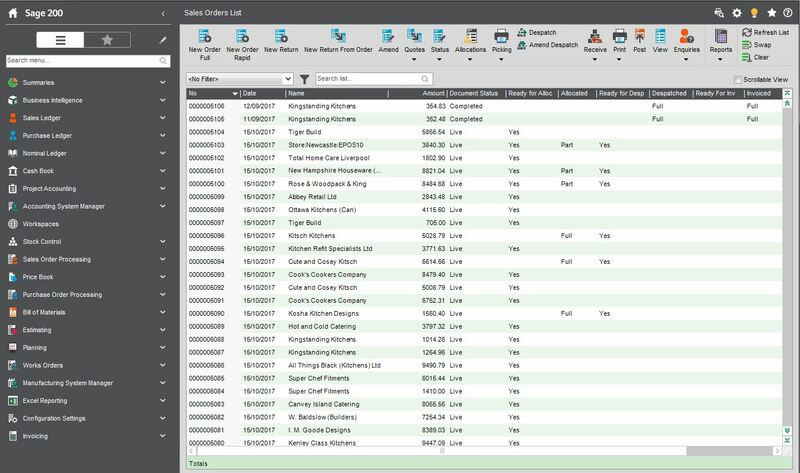 Web Based Purchase Requisitions – This new feature acts as an additional step prior to the creation of a Purchase Order and can be used in conjunction with the powerful Purchase Order Authorisation routine. Hide Customer/Supplier Accounts – In Sage 200c it is now possible to hide Customer and Supplier accounts. In the past the Sales and Purchase Ledgers could become filled with inactive accounts which couldn’t be removed without archiving and purging transactions, but now they can simply be removed from view, and brought back if required. Nominal Analysis Codes – Analysis Codes are extremely important to many businesses that use Sage 200 and can be used to group together Orders, transactions, stock items, customers and suppliers. With this latest version of Sage 200c Analysis Codes can also be used to group together Nominal Accounts. Combined Budgets and Budget Owners – This new option gives users access to combined budgets which work alongside Nominal Budgets. 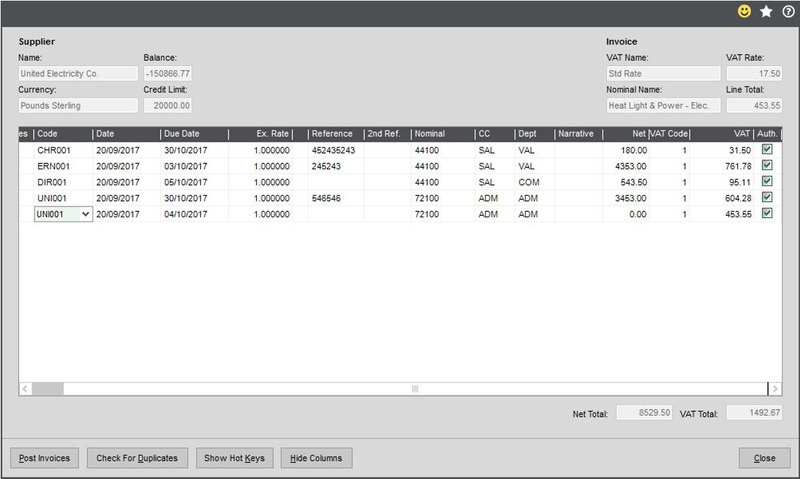 Group your Nominal Accounts together to report on the rolled-up totals and set Budget Owners to allow your users to monitor their spend against their budget very closely. 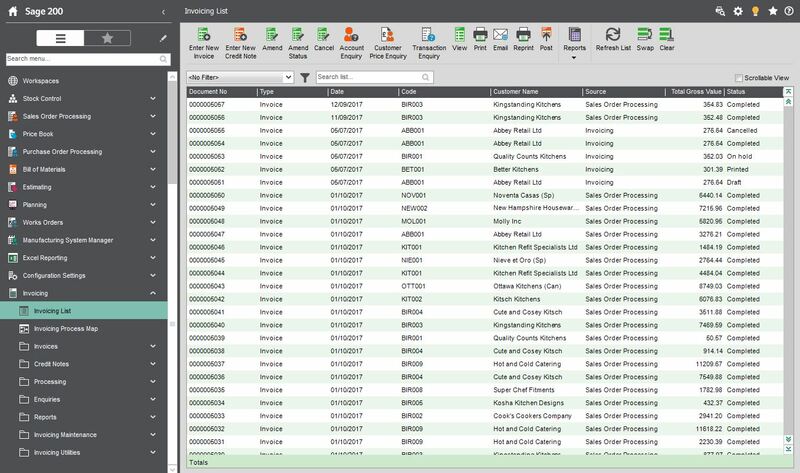 This list only represents some of the new features for Sage 200c that was released in August 2017, there are many more and we would like to show how well this latest version can work and add value to your business. 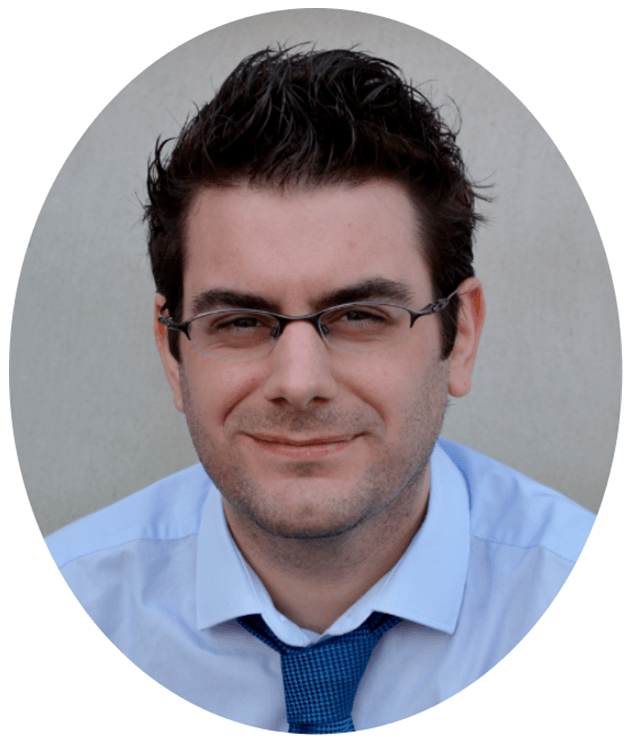 I recently wrote about the great demonstrations that we provide and also about our regular 1-hour webinars which are FREE and you can sign up at any time – we are now demonstrating the new Sage 200c 2017 version and the feedback we have received so far is fantastic. 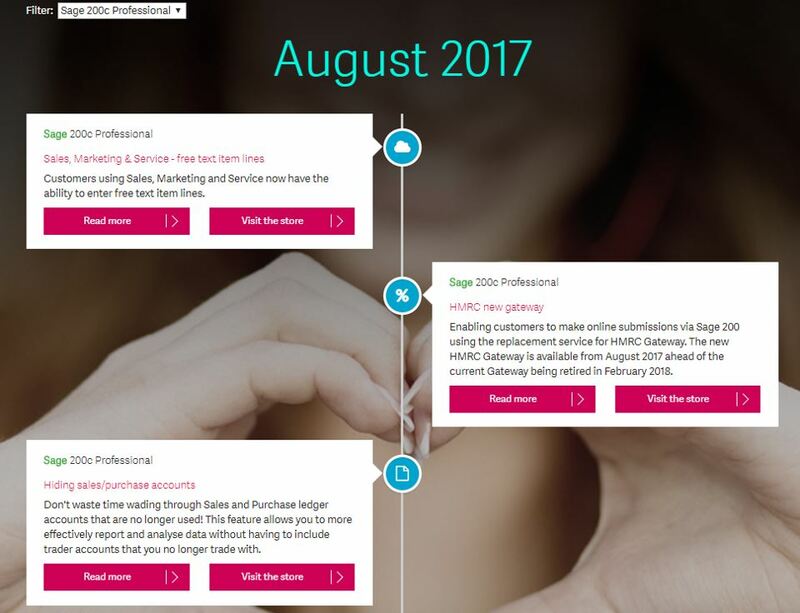 In June we published a blog outlining what the future holds for Sage 200 and we looked at their great new Online Roadmap. This roadmap highlights all of the main features that have been delivered recently, those that are due to be released in the next version, and also those that are in the pipeline for the future. This Online Roadmap represents the whole Sage 200 Product range including this latest Sage 200c Standard/Professional, and also the powerful Cloud solution – Sage 200 Standard/Extra Online. If you would like an onsite Sage 200c demo please email us at info@alphalogix.co.uk or call us 0845 257 3141 to speak with one of our Accredited Sage Product Specialists. Alternatively if you would like to sign up to our Sage 200c Webinar please click here.